Entertainment by Santa and sweetness of chocolates doubles the happiness of Christmas celebration. 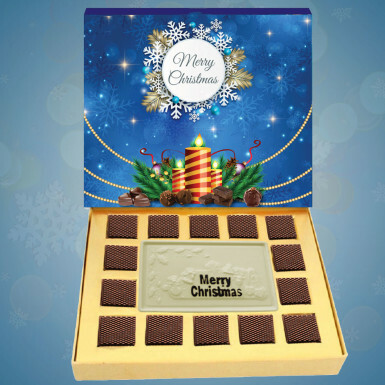 At Winni, you can find this Merry Christmas chocolate, an ideal gift for your loved ones. Surprise your dear ones at midnight with this chocolaty surprise using our midnight gift delivery. These choco delights will fill the sweetness in your relationship and helps to create unforgettable memories. By gifting this Merry Christmas chocolate, you can share the joy of gifting with your loved ones. Order now!